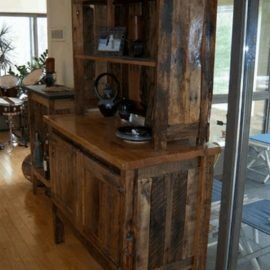 This wonderful barn wood table, chairs and bench can become a part of your home and last for many generations. 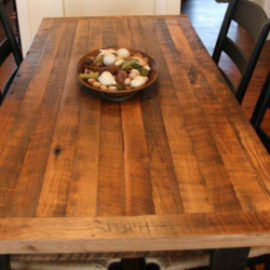 The farm house dining room set is made from quality materials, such as reclaimed barn wood. 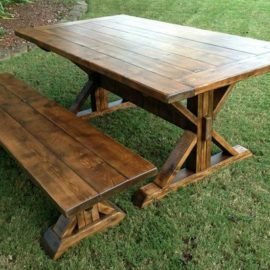 Every part of this durable table is built with expert craftsmanship and care. 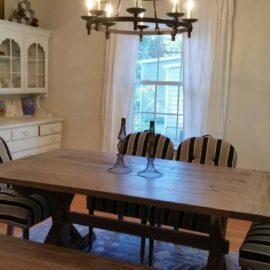 This dining room set can be customized to meet your specifications. If you would like to customize this functional time capsule, contact us today and share your design ideas with us so that we can began the process of building it for you. 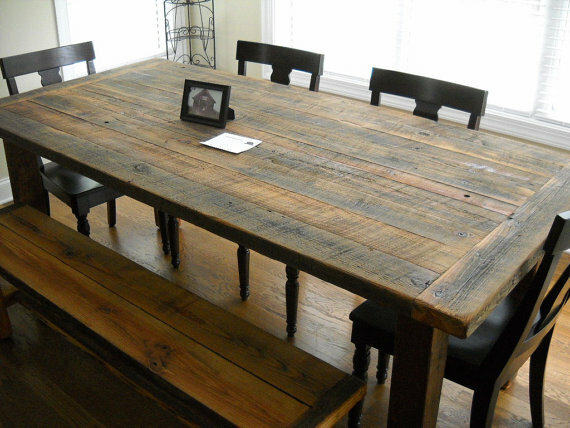 The choice of reclaimed wood or distressed pine. The number of benches and chairs. The type of paint, stain and wood that you would like to have. You can contact us for more information, or you can enter your specifications in the Custom Request section at the top of this page. Prices on the drop-down menu above do not include benches. Benches range in price from $185 to $300 depending on the wood type and length.